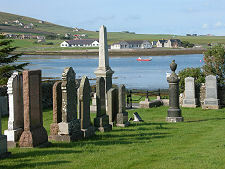 Finstown lies about half way between Stromness and Kirkwall at the point where the main road between them is met by the road up the east side of West Mainland. It was the traffic using this junction in the 1820s that led directly to the establishment of Finstown. 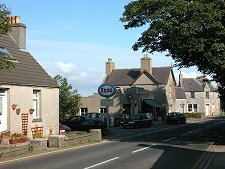 The village is named after an Irishman called Phin, a veteran of the Napoleonic Wars, who in 1822 built an ale house here called the Toddy Hole. Later in the 1800s the Toddy Hole was replaced by what is now the Pomona Inn. By 1872 Finstown could boast a post office: and its stone pier, which still projects into the Bay of Firth from the east end of the village, was a port of call for passenger steamers and cargo vessels. 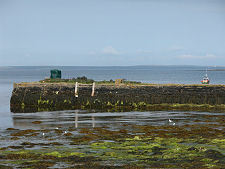 Today the Bay of Firth provides shelter mainly for small fishing and pleasure craft. 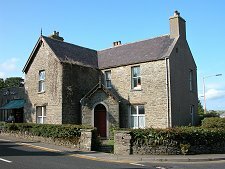 The core of Finstown lies in the solid, well established stone houses around the junction of the A965 and A966. 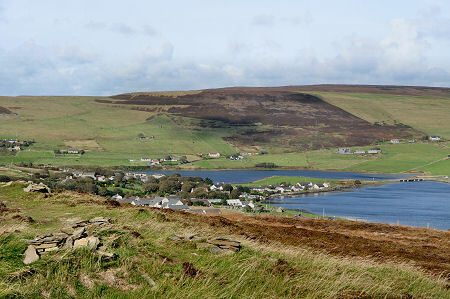 From here the road to Stromness climbs west through the most urban part of the village (including the Pomona Inn) above a sheltered valley to the north that is home to one of Orkney's very rare patches of natural woodland. West from the junction is Firth Parish Church. 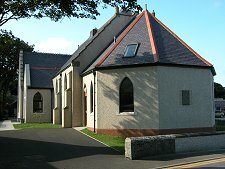 This was built as a Free Church in 1902 and carries a plaque commemorating its refurbishment in 2002. 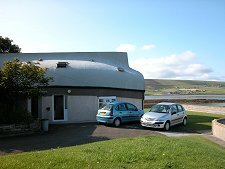 Further on is the village's main car park, opposite the graveyard located on a slope that gives some excellent views across the Bay of Firth. 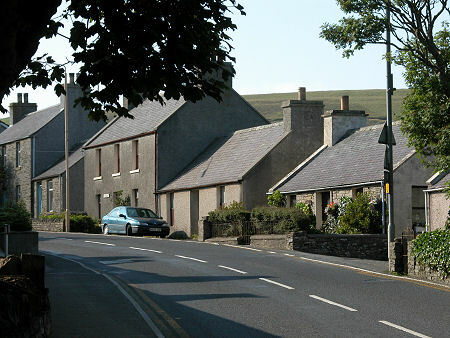 Modern development at the east end of Finstown has tended to comprise new cottages and houses, many built as holiday lets. By far the most distinctive of them is the Boat House. This was built in the 1970s and uses as a roof a disused mould originally used to make fibreglass boats. 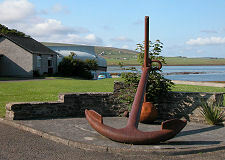 In doing so it reflects an Orkney tradition of recycling disused boats to form buildings: though more normally sheds than houses. 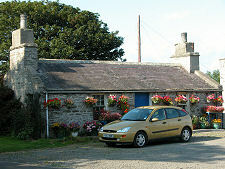 The north side of Finstown, overlooked by the almost separate settlements of Horraldshay and Smoogarth, has seen recent development of a different kind. Here you find a series of large, low buildings forming the school, a nursery and an old folks home. 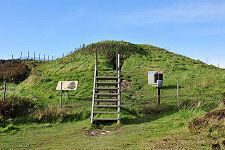 The flank of hill immediately to the south of Finstown is home to the fascinating Cuween Hill Cairn, while the top of the same hill carries a series of rather more modern stone structures, apparently erected for decoration.